As a recap from the previous articles, we learned that liver disease has many types. Fatty liver disease is a condition where fats build up in the liver (and it makes up more than 5-10% of your liver’s weight). 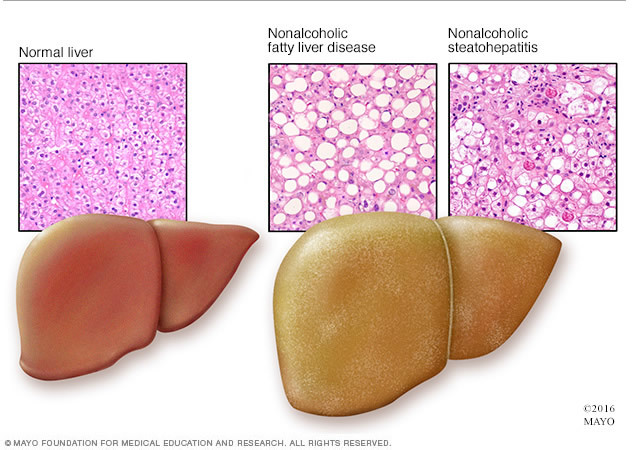 There are two main types of this disease: Alcoholic Fatty Liver Disease which is caused by excessive alcohol intake and Non Alcoholic Fatty Liver Disease (NAFLD), a condition in which fat builds up in the liver but is not related to alcohol use. It tends to develop in people with obesity, diabetes, high cholesterol or high triglyceride (fat) levels in their blood. It is prevalent among 30-40% of American adults. As part of the observance of the Liver month, we will focus on the nutritional aspects in the prevention and management of fatty liver diseases. From the word itself, it is caused by alcohol. A sensible preventive measure is to avoid drinking alcohol or if you already are drinking it, do so in moderation; avoid heavy drinking. “Moderate alcohol consumption is defined as having up to 1 drink per day for women and up to 2 drinks per day for men. This definition refers to the amount consumed on any single day and is not intended as an average over several days. ”. Heavy drinking among men is usually defined as 15 drinks or more per week while among women it is 8 drinks or more per week. Patients diagnosed with alcohol related fatty liver disease are usually nutritionally evaluated. Many patients are lacking in nutrients needed by the body (malnourished) due to poor appetite, unhealthy diet, malabsorption (because of the ineffectiveness of the liver) and empty calories (alcohol has “empty” calories, it gives 9 kcal/gram but without any nutrient like vitamins, minerals, etc. and it requires lots of energy to be processed in the body) . Many hospitalized patients are initially given high energy and high protein diet with vitamin and mineral supplements. 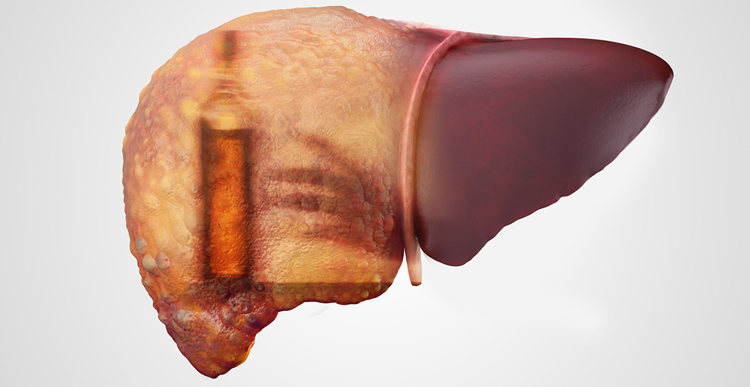 Alcoholic fatty liver disease patients are advised to stop drinking alcohol and eat a well-balanced diet. 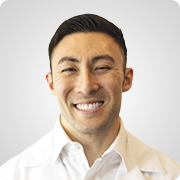 They need to work together with their doctor and dietitian/nutritionist to work out a diet plan, as well as nutritional supplements tailored to their case. It is the build-up of fats in the liver which is not due to alcohol. NAFLD is often linked to obesity, diabetes, high cholesterol or fats in blood and metabolic syndrome (presence of any three of the following: high levels of triglycerides in the blood, low levels of HDL cholesterol in the blood, high blood pressure, higher than normal blood glucose levels, large waist size). It can progress t non-alcoholic steatohepatitis (NASH) where there is inflammation and liver cell damage eventually leading to liver cancer. Prevention strategy for NAFLD includes eating a well-balanced and healthy diet, maintaining or achieving a healthy body weight, performing healthy lifestyle like regular physical activity, avoiding or stopping alcohol consumption. Patients diagnosed with NAFLD who are obese or overweight are advised to slowly lose weight, around 7-10% of the initial body weight in a course of 1 year. Intake of fats is also limited as 1 gram of fat provides 9 kcal/gram (carbohydrate and protein provide 4 kcal/gram). Patients are also instructed to use or consume healthier types of fat (monounsaturated and polyunsaturated fats) than saturated and trans fat. What are the types & sources of dietary fats? Monounsaturated fats – richly found in peanut, olive and canola oils and avocado. 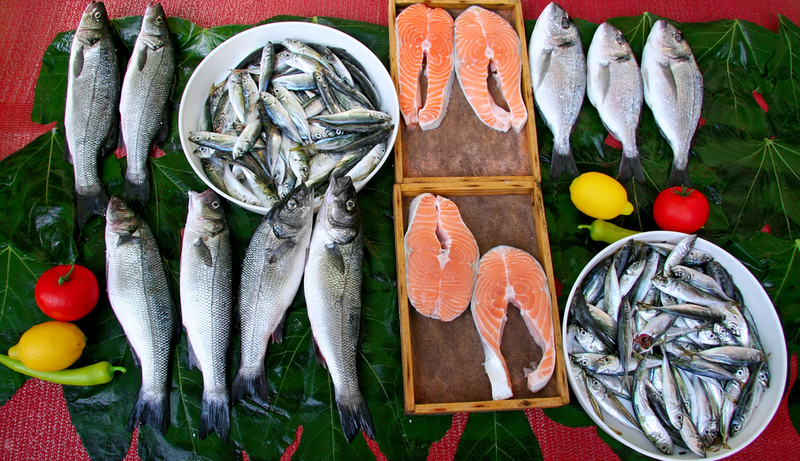 Polyunsaturated fats – found in nuts like walnut, seeds like flaxseed; plant-based oils; fishes like salmon. Omega 3 fatty acids – reduce inflammation and may help lower risk of chronic diseases such as heart disease, cancer, and arthritis. Found in fish, such as salmon and tuna; seafood including algae and krill, some plants, and nut oils .They are also found in fish oil supplements. 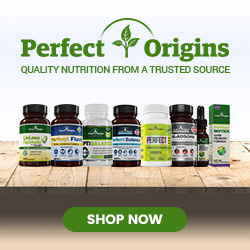 Omega 6 fatty acids – along with omega-3 fatty acids, they play a vital role in brain function, and normal growth and development. Omega-6 fatty acids help regulate metabolism, stimulate skin and hair growth, maintain bone health and maintain the reproductive system. The average diet supplies sufficient amount of this fatty acid so supplementation is not recommended unless prescribed by a physician . Food sources include corn, soybean and sunflower oils. Saturated fats – found in poultry skin, pork, beef fat, butter, lard, shortening, and all milk and dairy products except fat-free versions . Plant-based oils like palm oil, palm kernel oil and coconut oil. A diet rich in saturated fats can increase total cholesterol in the blood, increase “bad” (LDL) cholesterol, which can lead to obstructions in blood vessels of the heart and elsewhere in the body . Trans fats – Eating trans fats increases your risk of developing stroke and heart disease. It is also associated with a higher risk of developing type 2 diabetes. Found in fried foods like doughnuts, and baked goods including cakes, pie crusts, biscuits, frozen pizza, cookies, crackers, and stick margarines and other spreads; as well as products with hydrogenated or partially hydrogenated oil in the ingredient list . Eating foods with low glycemic index  (foods with low glycemic index, e.g. oats, chickpeas, lentils, wholegrain, mushrooms, leafy greens, are more gradually digested and absorbed by the body thus cause a lower and slower rise in blood glucose and insulin levels). Avoidance of food and drinks with high amounts of simple sugars, especially fructose. Avoid candy, regular soda, sweetened beverages and other foods/drinks with added sugars including high-fructose corn syrup. Choose naturally sweet foods (e.g. fruit) if you want some sweetness in your diet . Silymarin (richly found in milk thistle) plus vitamin E and low calorie diet improved test results of patients . DHA (an omega-3 fatty acid) plus vitamin D treatment improved insulin-resistance, lipid profile and liver function tests . Treatment with taurine combined with tea polyphenols could relieve NASH . A study  on natural antioxidants like anthocyanins (found in red orange juice, raw red raspberry), catechins (in green tea infusion), resveratrol (500-600 mg per day, in black grapes), silymarin (from dried milk thistle fruit) are found to have beneficial effects in NAFLD patients. Don’t forget the benefits of physical activity combined with dietary intervention on the prevention and management of fatty liver disease. 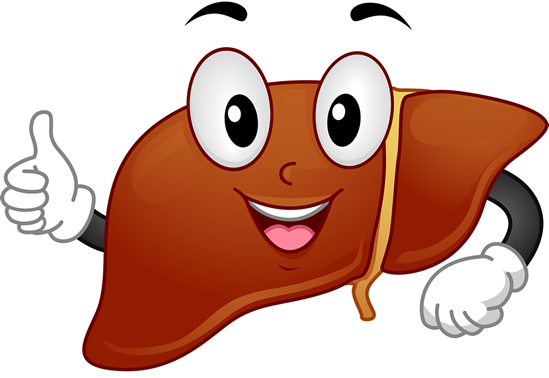 No matter what health condition you are in right now, always take care of your liver. It serves a lot of functions in our body. Healthy diet, exercise and lifestyle practices go hand-in-hand and are major keys to prevent and treat fatty liver diseases. Zhu, W., Chen, S., Chen , R., Peng, Z., Wan, J., Wu, B. (2017). Taurine and tea polyphenols combination ameliorate nonalcoholic steatohepatitis in rats. BMC Complementary and Alternative Medicine, 17(1):455. DOI: 10.1186/s12906-017-1961-3.